Monks from the Drepung Gomang monastery will host an opening ceremony at the King David’s Masonic Lodge in SLO Aug. 15 at 9 a.m., with daily Mandala viewings through Aug. 18 from 10 a.m. to 5 p.m. The closing ceremony will be on Aug. 18 starting at 4 p.m. For more information on events in Paso Robles and Santa Maria, visit the Drepung Gomang Tour of the Central Coast event page on Facebook. After four days filled with hours of meticulously perfecting each and every detail of their masterpiece, the artists ceremoniously destroyed it. It wasn’t the first time. It definitely wouldn’t be the last time. 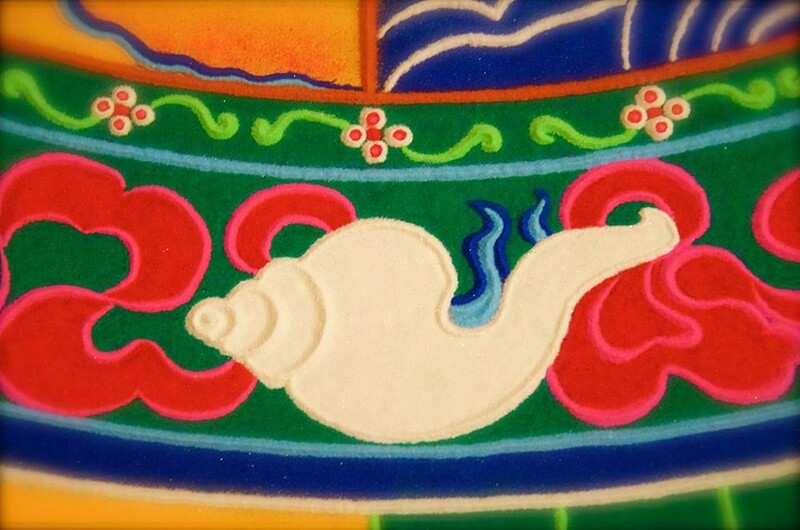 But for the Tibetan monks of the Drepung Gomang monastery, there is no attachment to their carefully crafted sand mandalas. FOR A LIMITED TIME The finished mandala that the Tibetan monks of the Drepung Gomang monastery will create in SLO will be on display in its entirety for a limited time before it’s swept up during the closing ceremony. A handful of their members will make their way to the Central Coast for a tour of the area, where locals can watch their artistic process and engage with the Tibetan culture, starting with a stint at the King David’s Masonic Lodge in San Luis Obispo on Aug. 15 and moving on to Paso Robles on Aug. 21. The Tibetan monks are currently based in South India, as they are refugees in exile from their home country by the communist Chinese government that has controlled Tibet since 1959. 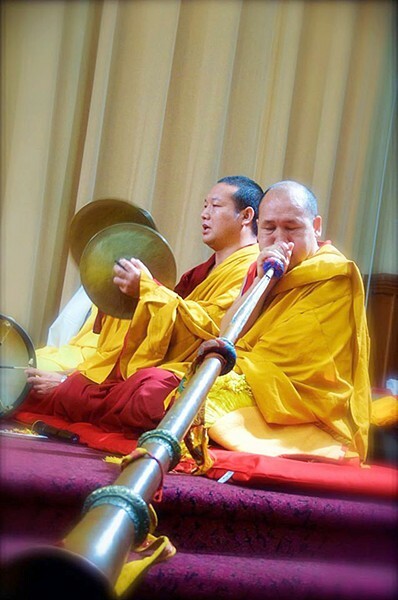 Through their annual tour of the United States, the monks aim to share their dying Tibetan culture and raise funds for living expenses for their 7,000 members. The art of mandalas is an ancient tradition where a basic outline, often of a geometric design, is penciled or chalked onto a board. Grains of very fine colored sand are then distributed onto the board using tapered metal tubes. The image is usually created over a period of several days, with one to four monks working on it at a time. According to Walter, the mandala embodies the universe in harmony and often represents a scared meditational deity or person. METICULOUS Watch the monks of the Drepung Gomang monastery craft a mandala design from grains of colored sand at the King David’s Masonic Lodge in SLO starting Aug. 15. “While it’s being created, it’s a very prayerful process with the idea that what’s being created is very sacred,” Walter said. At the closing ceremony, prayers are centered on the theme of the mandala—such as world peace—and the completed design is swept up and placed in running water to send good vibes out into the community. Walter said the mandala could be destroyed anywhere from an hour to a day after it’s finished. While destroying such finely crafted work may be puzzling to some artists, the monks don’t see it that way, according to one member of the monastery who spoke to Walter via a translator. Walter said that people who attend the closing ceremony often go home with some of the sand to put in their garden. She also said that people are moved by witnessing the creation of the mandala and are often inspired to be better people by watching such a creative, peaceful process. Arts Editor Ryah Cooley is living in the moment at rcooley@newtimesslo.com.